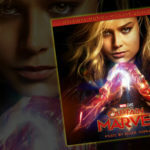 DisneyBlu’s DizRadio: A Disney Themed Celebrity Guest Podcast is a show that let’s you Relive the Magic and Memories from Your Lifetime of Disney! We make the show for you, the D-Heads and you help guide where the show goes. 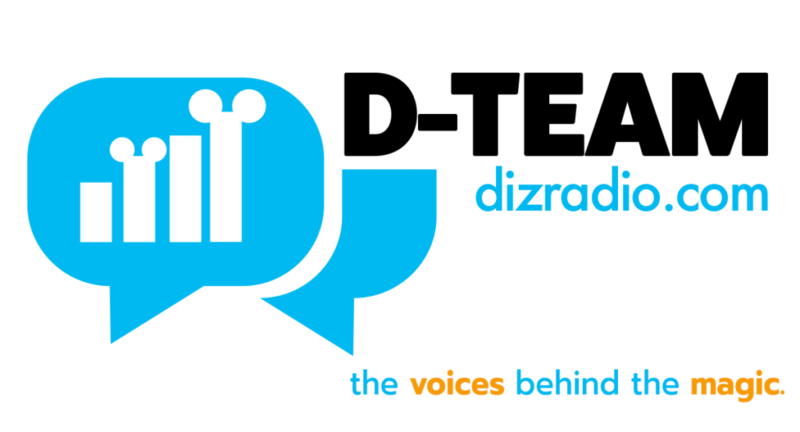 So now we invite you to our “New Kind of Disney Show” by learning more about us, The D-Team. Jonathan, the Creative Director and Host of Disney on Demand has spent his entire life full of Disney. It all began from the age of 6 Months old and his first trip to Walt Disney World. From then on he was hooked. He explored not just new classics, but the originals as well, from Pollyanna, to Mary Poppins, and lesser know classics like The Black Hole, Blackbeard’s Ghost, Monkey’s Go Home, Summer Magic and more! But his love kept growing. Knowledge of the parks was a must. Since that first visit at 6 Months old, Jonathan has been to the Walt Disney World Resort over 36+ Times and counting. He learned all about the attractions, behind the scenes and even got to experience those wonderful gems no longer there like River Country, Country Bear Vacation Hoedown, Mike Fink’s Keel Boats and the Original Disney Village (Now the Huge Downtown Disney). But he had the Disney bug and that love kept on growing. 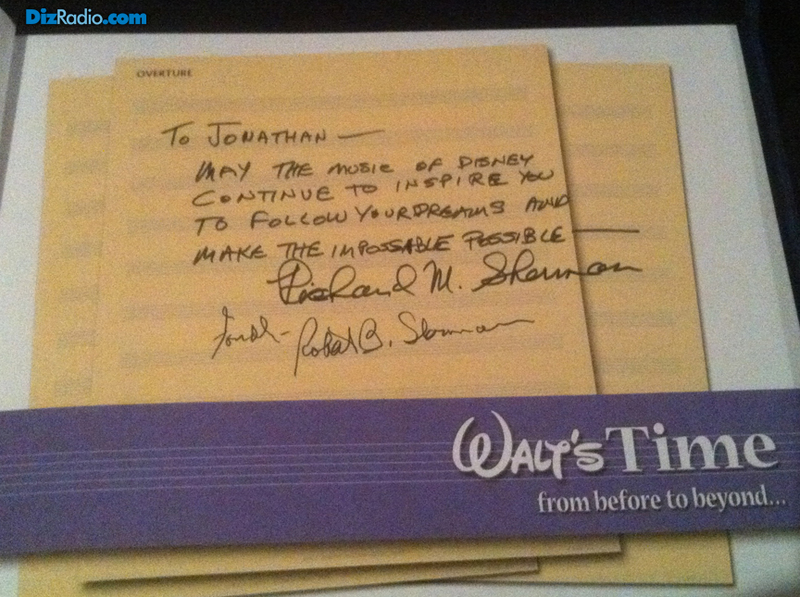 Not only in the parks and movies, but his admiration for Walt Disney, the man behind it all. Jonathan spent years learning about Walt, doing reports in school on him and working on his skills as an artist with his main goal to become an Animator in the future. Walt Disney has proven to be his inspiration in live, a role model, and an icon. 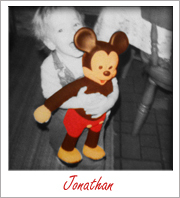 Jonathan went on to attend college with a Major in Animation, Graphic Design, Advertising & Marketing and Minored in Photography. Now a Husband and Father of 4 Children, he has passed down his love of Disney to his children and Family Vacations, Movie Nights and more are full of Magical Disney Memories. So much so, his children know who Walt Disney, the man is. An important thing to know, even though they call him Mickey Mouse’s Dad. 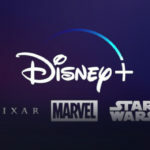 A Creative Director and host of DisneyBlu’s Disney on Demand, he has taken his Love of Disney and his goal is to bring that love, entertainment and most of all, the Classics to a new generation, relive them for the older generation and introduce them to those who never knew of them. With Celebrity Guests, hearing the stories behind these classic films, tv shows and more. Jonathan has had the pleasure of meeting and speaking to many that made these classics happen and a highlight was a very special inscription from The Sherman Brothers to him has rang true and follows through to the show. 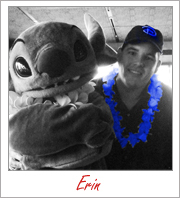 Aside from Disney, Jonathan Loves Beaches, the Caribbean, Jimmy Buffett and Classic Hollywood from Bing Crosby, Bogart and current Cult Classics like The Army of Darkness and Labyrinth. Hey D-heads!! My name is Erin Carpenter and I’m so excited to be a member of the D-team with “I Want To Know”. I grew up in southern California about two hours north of Disneyland. My parents took me many times since I was born in 1973 and I continued going over my lifetime. I have been more times then I can count. I still have the first Mickey Mouse stuffed animal with a wind up music box in it from my childhood. I grew up watching Disney movies and always loved watching “The Magical World of Disney” on Sunday nights. My first trip to WDW was when I was very young but I have some memories of the Magic Kingdom but I have a lot of memories of River Country. It was the first water park I ever went to and I wish it was still around. I have been back to WDW a couple times since my son was born but not as much as I would like. My son was born in 2006 and he shares the love of Disney both old and new. I think as a baby he proved you can wear out a DVD by having Cars on constantly. I currently live in Elkins, AR. just outside Fayetteville, home of the Razorbacks. I am a graduate of the University of Arkansas. I work in retail but my part time job is part of my true love. I am an authorized vacation planner for Disney. Since I don’t get down to the parks as much as I like, I love helping people plan their own magical trips. I love hearing the stories they bring back. My son keeps me busy with sports and cub scouts but we always have time for a good Disney movie or some Disney Channel shows. We have spent many an hour watching Phineas and Ferb and many other great shows. Holidays are a big time at the Carpenter house. We go all out for Halloween and especially Christmas. I’ve been called Clark Griswold once or twice. After one look at our tree there is no doubt we are huge Disney fans. I am really big into the social media especially where Disney is involved. I follow several podcasts and Disney forums. Hello Everybody! 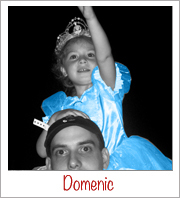 My name is Domenic, a Philadelphia native currently living in Delaware with my wife Anita and three wonderful kids. Since 1975 I have logged in between 30-40 trips to the Magic Kingdom, which is nothing for locals, but that many trips gets you a lot of awkward stares when you are from the Northeast. I guess this type of devotion is inevitable when you are four years old and your record collection contains the music of the Electric Light Parade instead of nursery rhymes. Also, since acquiring Marvel, the Muppets, Pixar and Star Wars, it is hard not to be a Disney fan when the company practically owns my childhood. I’m waiting for the day that Forbes reports that the mouse has finally obtained the total monopoly of my youth through the purchase of G.I. Joe and the cute girl who used to live down the street. For the last couple of years my wife and I have been working on a cartoon podcast/vlog series of Disney travel tips called WDW planToons which you can find on you favorite podcast app, www.planToons.com or on YouTube at www.youtube.com/wdwplantoons. Where planToons has wonderfully devolved into a more snarky look into traveling to Disney World with a family, this fantastic forum on Disney on Demand celebrates all the positive Disney brings to the world. I an incredibly excited to join the D-Team to hopefully be of some help to people looking for some tips and tricks to get the most out of their Walt Disney World Vacation. I especially want to help people make the most out of their vacation time at Disney World, doing things that can only be done at Disney World. If I can help people save a few dollars in the process too, all the better. Feel free to reach out with questions, tips, tricks or just to say hi at whatever email Jonathan gives me, or on twitter @wdwplantoons. 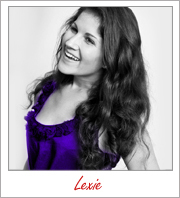 Alexa Erekson was born to a devout Mormon family on February 28, 1996, in Henderson, NV. Disneyland has always been her favorite place. She discovered her love for Disneyland facts as a teenager. At twenty years old, she became ill with Idiopathic Gastroparesis, POTS, Orthostatic Hypotension, and Endometriosis. She had to quit her job and drop out of school. It was very difficult; she felt worthless. Learning Disneyland facts became her refuge from the emotional toll of her illness. Eventually she decided to write a Disneyland fact book to make herself and others happier during times of trial. Thus, her first book, “Disney Till You’re Dizzy: 1,001 Facts, Rumors, and Myths about the Disneyland Resort” was born. She has since written several more Disney books, started a YouTube channel, and is a proud member of the D-Team! Alexa brings us the weekly Disney Parks news in “Disney Parks-in-5.” She loves bringing joy, knowledge, and an escape to her readers. She also loves bringing happiness and laughter through her youtube channels and social media sites. Hey D-Heads! 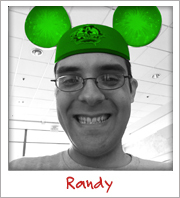 My name is Randy, and I’m an amusement park – tech disney lover enthusiast fan! Phew! That’s a mouthful just by saying that! I’ve been a lover of technology and amusement parks since I was little mouseketeer! I would say it started when I was about 9-10 years old while playing my Nintendo system that my parents got my sister and I. During summer break, I would break out my mom’s duel tape player recorder boom box (yes, I’m dating myself but I grew up in the 90s, LOL! ), blank cassette tapes, and a microphone. This is where I would pretend to be a radio host/DJ by recording music from the radio, pretending to bring ‘breaking news’, and talk about the latest happenings while attending a local amusement park near by my parents’ house. Before moving to my current home town in Allentown, Pennsylvania, I used to live in a very rural city and the nearest mall was 20 minutes away and the closest amusement park was 2 hours away! 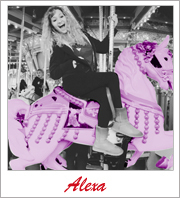 So going to an amusement park was a big deal for me! I would be so excited to go and yet it the parks we would go would be small. Small rides, some medium thrill rides but nothing like the big theme parks like Bush Gardens or Six Flags in that matter. When my parents moved to a bigger city, they had a local amusement park that was 4x-5x’s bigger than the amusement parks that I used to go to. My fascination grew big when my family first went there for a company picnic in 1994. Ever since that day my passion for amusement parks and soon later Disney Parks grew immensely! Long story short, one evening we were all watching a TV special on the Disney Channel called “Disney’s Inside Out”. This show specialized in the behind the scenes magic of what takes place at the happiest place on earth…Walt Disney World in Florida! Towards the end of the show, they had the 1-800 number to call for a free special VHS tape vacation video about the theme park. So my father called the number and spoke to the cast member on the phone. About 2 months later, my parents spoke to my sister and I about to see would we be interested on going to Walt Disney World for vacation, and we exploded in joy and said ‘yes’! My parents calmed us down since they were ‘asking us’ about it and by that time they didn’t book it. So they went to a nearby travel’s agent to get a booklet of the entire resort and the things to do at the park. Finally the day arrived in September of 1996, memories I’ll cherish forever and happy that my parents recorded our vacation. A simple TV show got my family interested in Disney Parks turned me into a Disney fan for LIFE! The techy part of me turned into another fascination when my grandparents bought my family in December of 1998 our first computer! Our first computer was an EMachine Desktop computer while running Windows 98SE with Internet Explorer! (hahah, I know you guys are laughing by now but yeah, it was another big deal for me.) From getting our first computer made me get introduces to play around with the techy side of things and blending my artistic abilities of drawing into the computer. I was always fascinated by how my Uncle was an artist/photographer and by that time as well started to use a computer for turning his projects into a graphic design career. Before that time, he was still using paper, color pencils, and other materials to help create his work when I was young. My mother as well had a gift of drawing and I was just starting out to find that I too have the ability to draw. I looked up to mother and uncle for the inspiration that they do with their abilities to draw and being creative at their projects. They encourage me to follow my passion to do whatever makes me happy and to believe in myself. I’m incredibly excited to join the D-Team to hopefully be of some help to people looking for some tips and tricks to get the most out of their gaming apps that I mention on the show. I especially want to help people be aware to have fun with their devices and to help finding new ways to discover and connect with their families while having fun with devices. Feel free to reach out with questions, tips, tricks, stories of your Disney Park memories, or just to say hi at whatever email Jonathan gives me, or on twitter/instagram via @randydorney . Frank brings his love of Disney to the show with years of park hopping, riding attractions, watching movies with his family, and making those lasting memories. So it only seems fitting he brings us the wisdom of Walt with a quote of the week. Frank’s love of all things Disney let’s him dive into the many worlds to ring that inspiration to all you D-Heads. 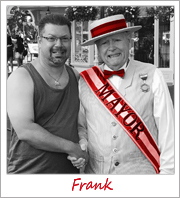 You never know if it will be from a movie, a ride, a tv show or Walt himself, but no matter hat, Frank brings a smile an thought from his life as Dad and husband to you. Hey D-Heads! The first thing to know about me is that I’m crazy about Disney! So crazy that I’m hoping to working for the company one day! Most people know that I love Disney, as I nonstop talk about the traditions and stories behind the company. Disney has made my life so joyful. I’m so happy to be a part of the D-Team! I currently live in the Blue Mountains, near Sydney, Australia. I’m now 20, but in my childhood I lived in Washington DC, and loved it! I spend my time studying International and Global Studies at the University of Sydney, and am majoring in Government and International Relations, as well as Anthropology. My first passion is Disney, and others include golden Age Hollywood, anyone from Gene Kelly and Judy Garland to Elvis and Marilyn Monroe. I also love David Attenborough and learning about modern history and the way the world works. I’m always open to learning and trying new things, like training to run long distance. On the weekends, I work as a waitress and am saving to move overseas and get my adventure started. In a way, my adventure has already started, when I’m not watching Disney movies or dreaming about the parks, I dance and spend time with my sweetheart. I’m very lucky. Most importantly, I focus on seeing the positives in life and always keep smiling. That is probably something I learned from Disney. no denying she’s a funny girl, that Belle”. Over the years we have had many D-Team members with outstanding segments. Although they have moved on from the magic of DizRadio you can still experience many of their segments in the DizRadio Podcast Show Archives! So Find Paige, Jamey, Cody, Lexie, Caitlin and more for the Magic from the Past!